BBHS will only facilitate evidence-based curriculums in all of our group modalities. We do not believe in "off the top of the head" groups. All of our groups at BBHS will have researched and proven curriculm in regards to reliability, fidelity, and validity. David Brooks, MA, LCADC is certified and trained to provide all of the below group therapies. Moral reasoning is how people make decisions about what they should or should not do in a given situation. Moral Reconation Therapy® – MRT fosters moral development in treatment-resistant individuals. This practical manual presents a 29-session treatment program designed to engage, motivate, and stimulate processes of change in clients at all stages of recovery. The program is based on the research-supported transtheoretical model of behavior change. The manual describes skills-building activities and interventions that are likely to be most effective with clients as they cycle from the earlier stages of change/m-/precontemplation, contemplation, and preparation/m-/to the later stages, action and maintenance. Each of the structured sessions is presented in a consistent, highly accessible format, including a clear rationale, summary of objectives, and overview of the main activities that will take place. Step-by-step guidelines for implementation are provided, as well as strategies for using a motivational interviewing style. The manual is complete with all needed handouts and exercise forms, ready to photocopy and distribute to clients. Ideal for use with groups, the approach can easily be adapted to individual treatment. 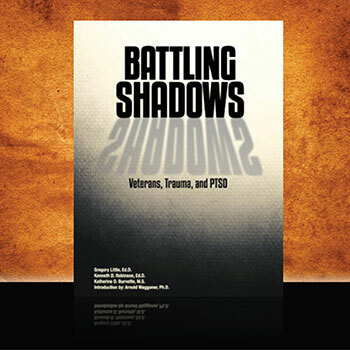 Battling Shadows is a cognitive behavioral workbook that directly confronts trauma issues typically encountered in Veteran populations. This 150-page workbook is designed to be implemented in eight group sessions, facilitated by trained staff. The program utilizes specialized techniques that are intended to be used only with Veteran focused groups. Living in Balance is a research based, flexible, practical, and user-friendly substance abuse treatment curriculum that helps clients address issues in lifestyle areas that may have been neglected during addiction. Living in Balance was developed by Danya International with funding from National Institute on Drug Abuse. Implementation training is available from Hazelden, ensuring customized treatment that best meets your clients’ needs.